Established by AmeriFace and cleftAdvocate, the month aims to raise awaress about cleft & craniofacial issues, as well as spread prevention information. 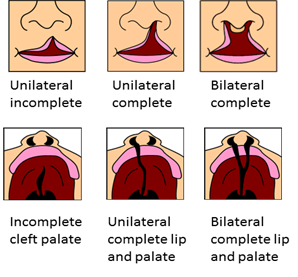 Cleft lip and palate is one of the most common birth anomalies in the world. A child is born with cleft lip and palate approximately every two and a half minutes somewhere in the world, according to the US Census Bureau. Cleft lip and palate is a congenital condition which happens in the first three months of pregnancy. It affects the upper lip and the hard and soft palate of the mouth. The type and severity of a cleft will vary from child to child. Help us spread the word about National Cleft & Craniofacial Awareness & Prevention Month! Donate! Donations of $20 per month are matched and 100% of your donation goes directly to transforming lives! Host a fundraiser at your school, workplace or in your community – host a dress down day, compete in a run or host your own event!